Anyone would like to achieve sparkling white teeth to feel confident when talking or smiling with other people. But many factors can result to stainings like excessive intake of foods and beverages with intense colors, poor hygiene, bad habits, age, genetics, and more. Discolorations were not only experienced nowadays. During the ancient times, it is also a concern which is why they came up with several DIY techniques to make their teeth appear whiter. Instead of getting a whiter smile, they even caused more damage to the teeth than good effects. DIYs are also available today. Due to the popularity of teeth whitening products, people even tried to develop several methods that can be performed in the comfort of their homes. While more and more people try to practice these, dentists are against its use. A patient cannot correctly identify over the counter (OTC) whitening products that are best suited for them. Using such may not provide sufficient results, or it can even be an allergen. Harsh chemicals may have been used in OTC products; these can cause irreparable damage to the teeth in the long run. One size does not correctly fit all. It applies to whitening products that use trays which are not custom-made for each patient. Poorly fitted trays can result in soft tissue irritations or uneven whitening result. Rubbing acidic fruits such as lemon and orange on the teeth is not effective. The acidity can be abrasive that instead of getting whiter results it wears down the teeth. Hydrogen peroxide rinsing does not help the mouth; instead, it can even cause tooth sensitivity, soft tissue (tongue or throat) damage, or gum irritation. While over the counter whitening products are readily available, its use should not be practiced since it is ineffective and can even cause harm. To help our patients attain brighter teeth, at Independent Dental Care, we offer professional whitening procedures by using Pola Teeth Whitening Brand. We ensure that this product is safe and effective to use. 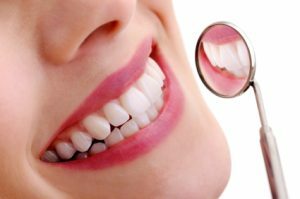 Bring out your best smile with Teeth Whitening Treatment in Fort Myers, FL, book your appointments with Independent Dental Care! Call us to experience outstanding results in making your teeth naturally beautiful and healthy.